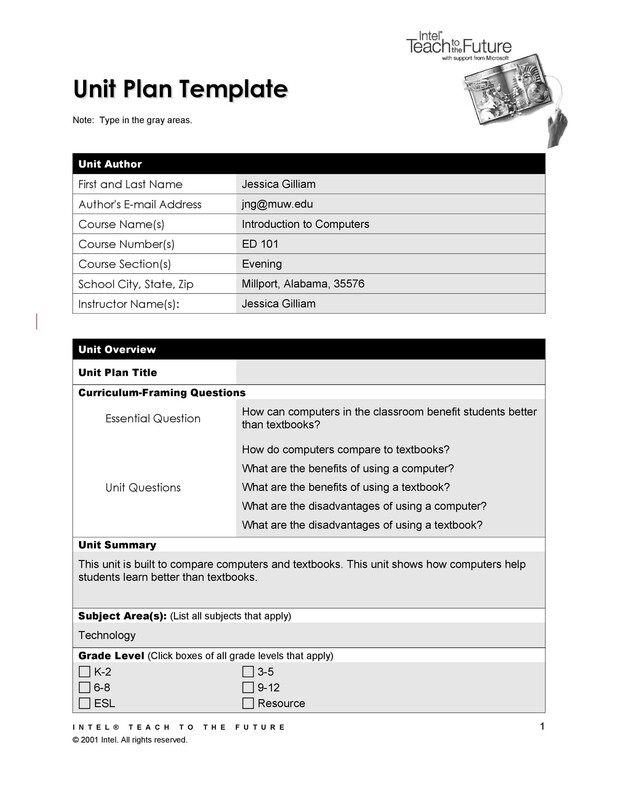 Unit plan templates are made by teachers in order to plan out the lessons they need to teach to students. This is a requirement for teachers in schools. For them to be able to plan out the content of their lessons. 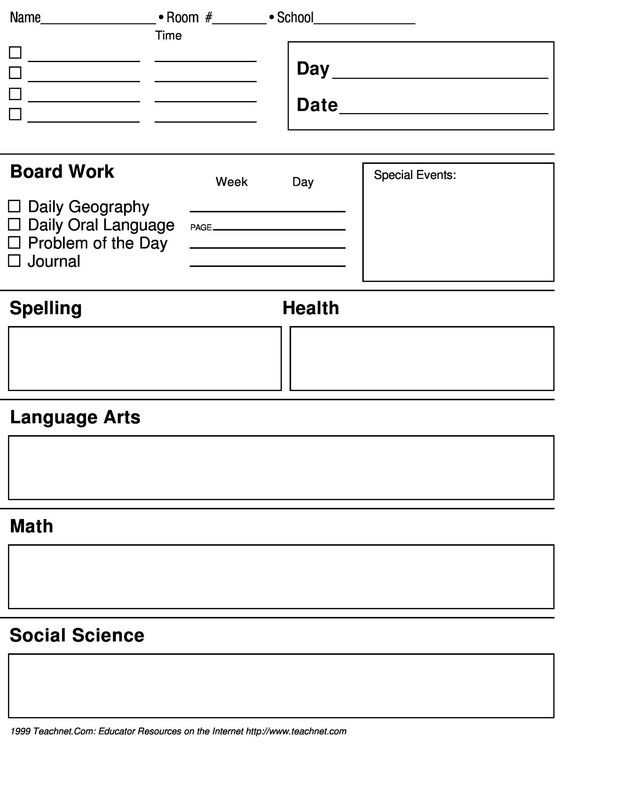 If you are a teacher, you most likely have already tried making such a template. It should contain relevant content, the learning skills, objectives and the tools needed to be able to carry out the lessons. 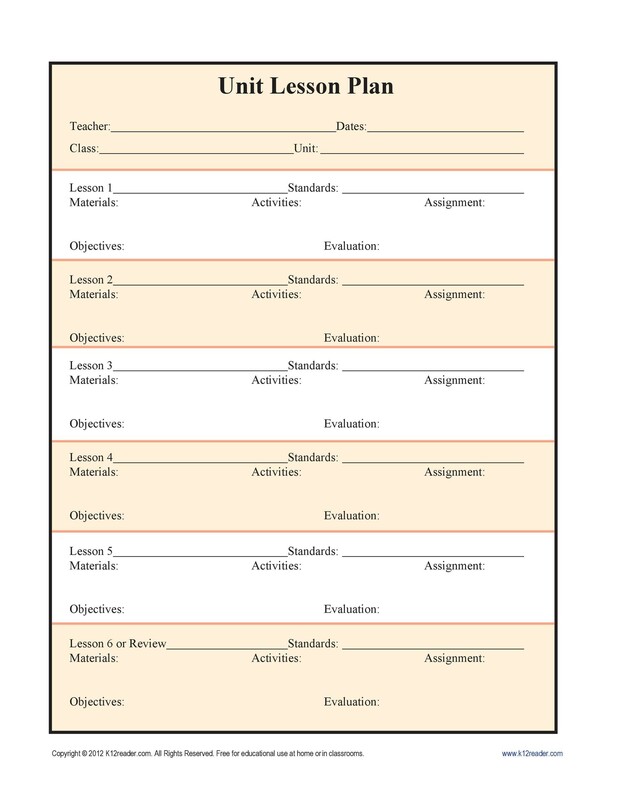 It should also come with your individual lesson plans, which you will make following your school’s standard lesson plan template. 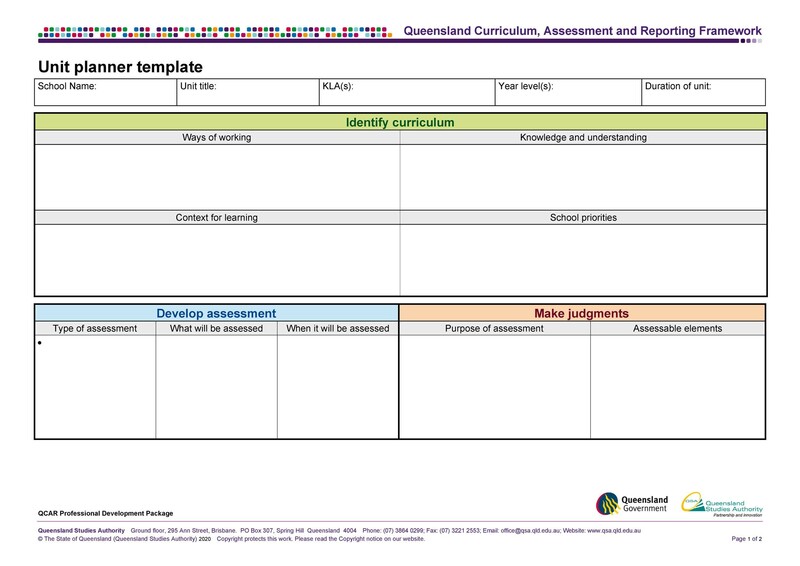 These kinds of templates can be created for different levels of education. 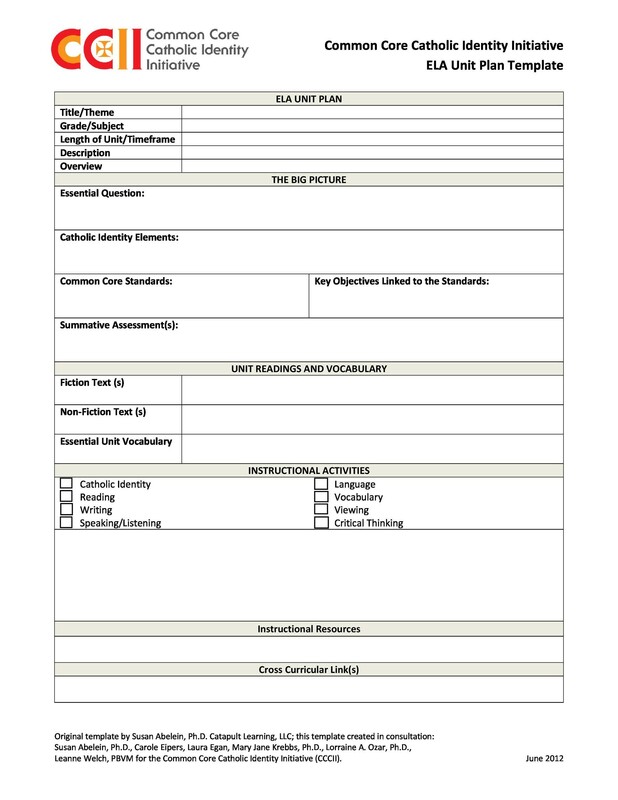 Depending on your school, the format of the template can either be very detailed or not. Making such a template requires a lot of careful thought and consideration. 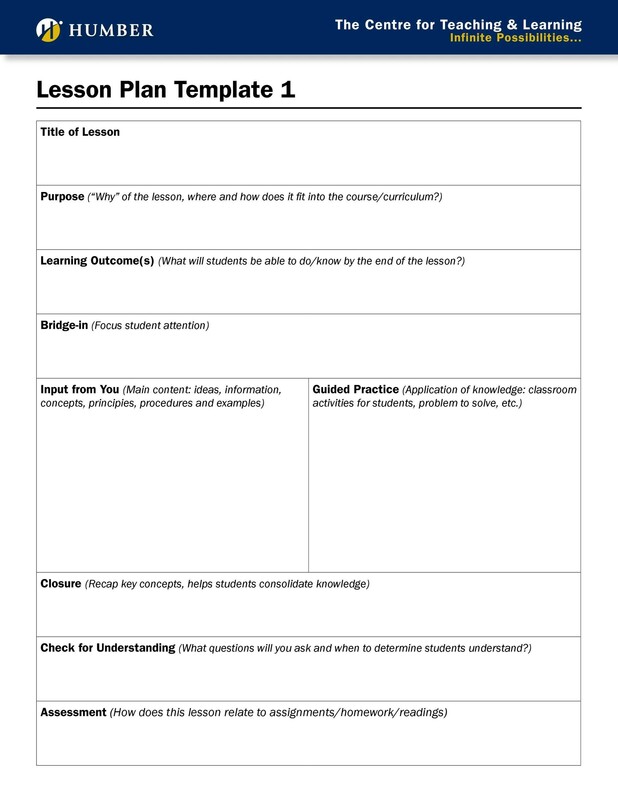 After all, you are making this template to serve as a framework for the lessons which you will teach to your students. 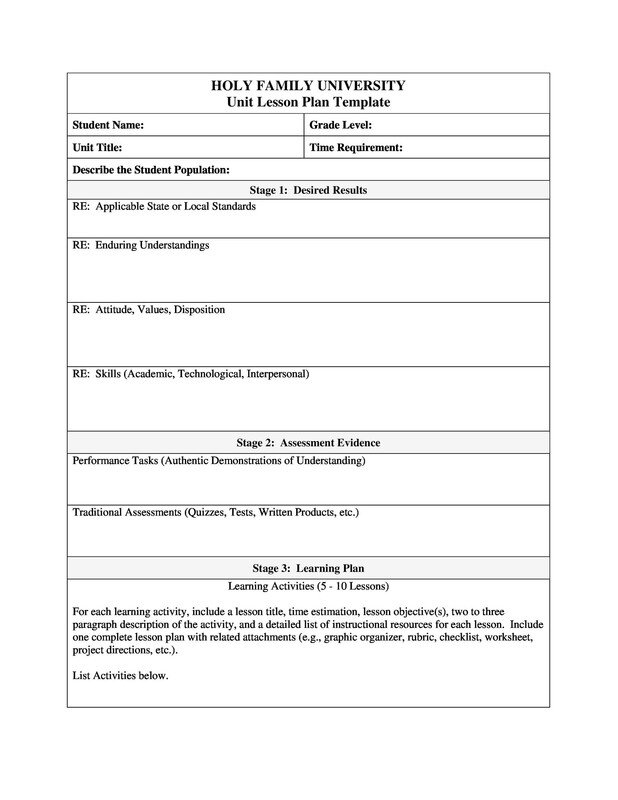 When you are developing a course for the whole semester, the whole process for making a unit plan template for high school is very important. 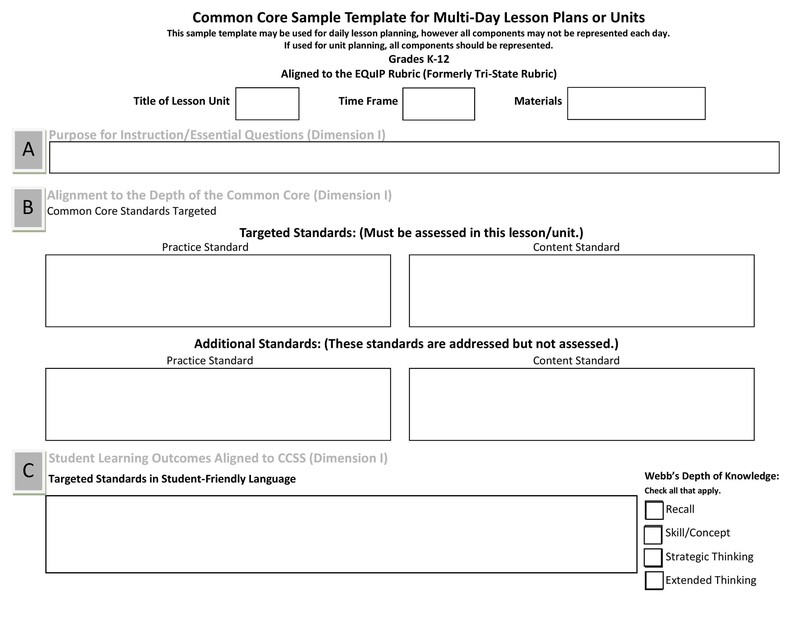 Whether it’s for high school, elementary or even college, learning how to develop the template is essential. 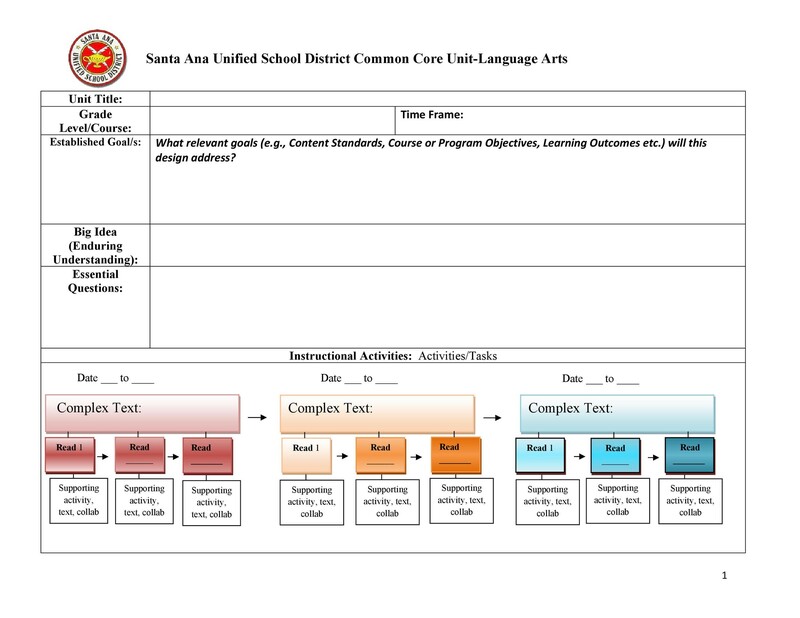 Without a unit plan, you may have the tendency to just focus on class activities when in fact language standards are also very important. Planning units allow you to focus on the class activities as well as the language standards which can be thematically integrated. 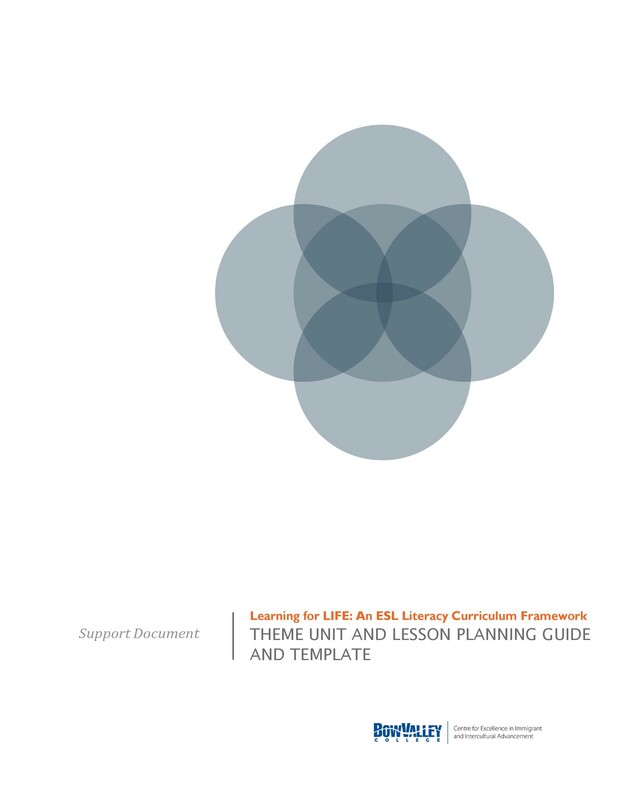 All the lesson plans which are aligned with the unit you are making are connected. 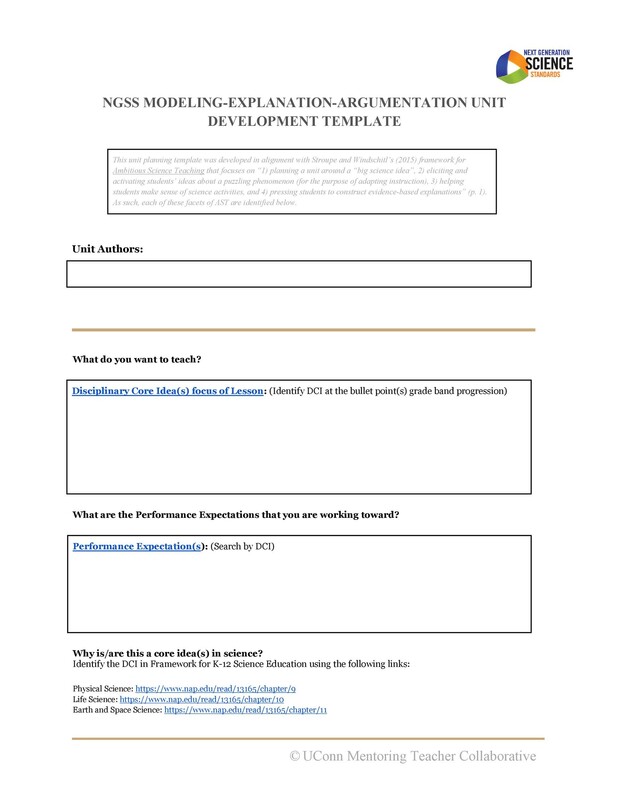 You will use the unit as a reference for your lesson plans. In doing this, your students will have different opportunities to learn, develop and apply to real life what they had learned. Without these plans, both students and teachers can end up frustrated because they don’t see where the learning is going. These plans have objectives and expected results, which you, as a teacher can share with your students. This article is all about unit plans. There is a lot to learn on this topic and this article will help provide you with useful information. Read on and be informed. It will provide you with an easy to understand structure and framework for your topic. When you make the basic framework of what you have to teach, then you will be able to teach a lot more effectively. It will help you become more organized with your thoughts. When you are organized, you will be able to teach your students well. When you are able to teach your students well, then they learn well too. It will point you to the right direction. When you know where you are going in terms of what you need to teach, then you know what is expected by the end of the semester. You can also share this with your students so that they are informed on what is to be expected as well. It will help you become more confident in your teaching. Planning your lessons allows you to learn what you need to teach more. When you are more informed of what you need to teach, then you will be more confident in teaching. 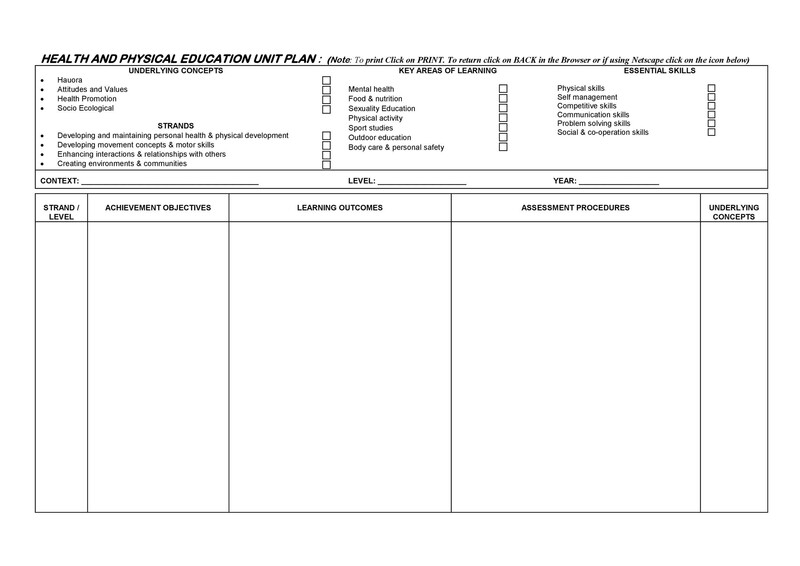 It will give you a great reference for when you plan units and lessons in the future. The more plans you make, the better you will be at planning. And the more you plan units and lessons; you will learn a lot of helpful tips and tricks. These will then make you a more efficient teacher. It will allow you to make plans for different kinds of learners. When you’ve already planned out your whole unit, then you can start planning lessons and strategies for different kinds of learners. This shows that you as a teacher has put a lot of thought into your planning and teaching. The planning process allows you to think about what you want to achieve by the end of the unit. 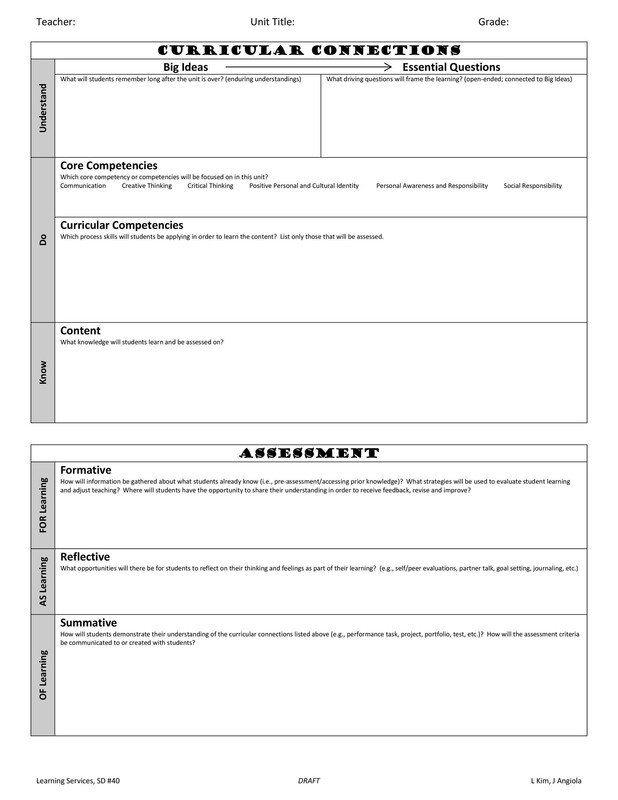 This is very useful so that as you are making and developing your lessons, you have an end goal in mind. Making plans for units and lessons is really important. You have to put a lot of thought into what you are making so that your students will benefit from what you teach. To be able to make a great plan, you need to know what the important components are. Let’s go through them in the next section. Write down the name/s of the class or classes which the whole unit and all the lessons are intended for. 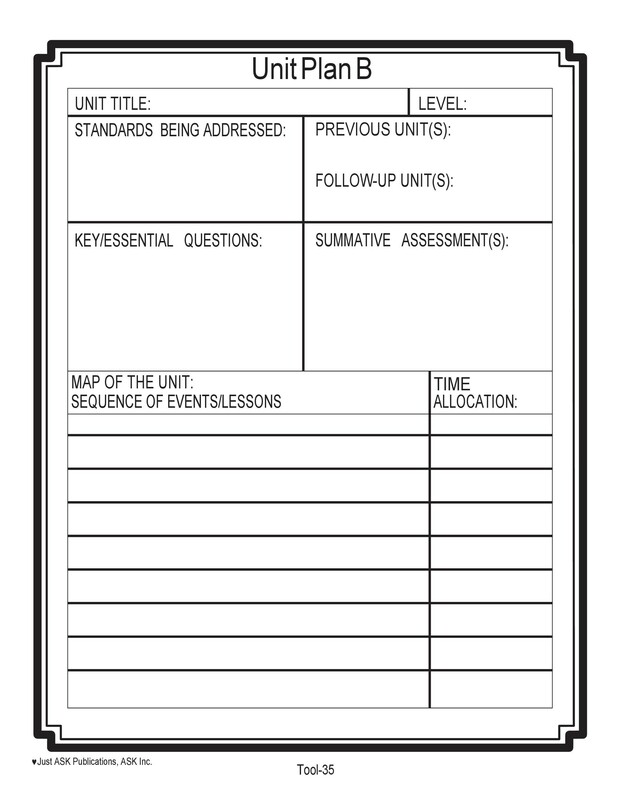 Note the estimated time you need to complete the unit as well as the lessons. If the unit will take a long time to complete, explain the reason for the length. This is so that whoever will be checking your document will be informed. 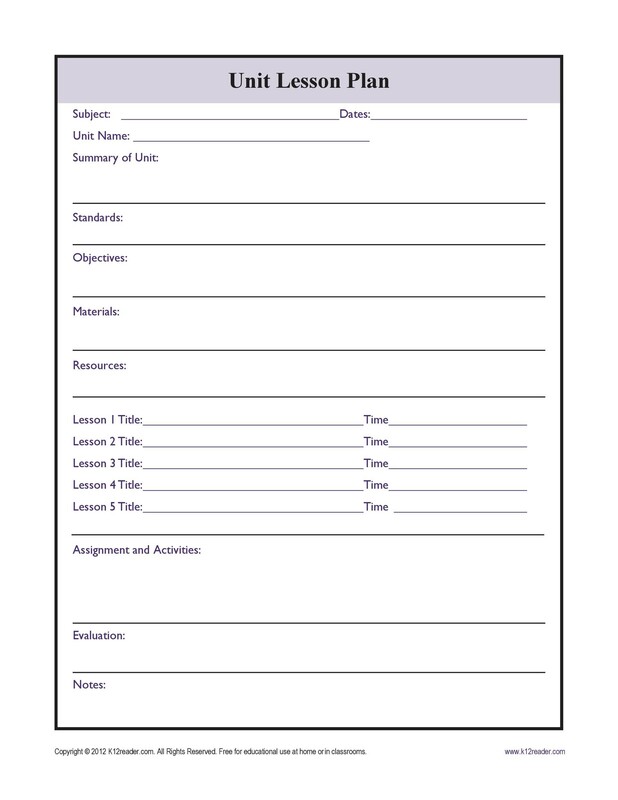 Also, include any materials you will need for teaching the lessons in the unit. These can be in the form of handouts, technological equipment and such, which you require. In doing this, you will be able to prepare well in advance for when it’s time for you to teach the lessons in your unit. This is especially important when you need materials which take the time to acquire. When making a plan, make sure to create a list of new vocabulary which is key to the lessons. Unique terms which must be understood by your students when the unit is completed. Make the title short and easy to understand. The description can be a bit longer, but don’t make it too long as well. One or two short sentences is enough to describe the unit plan. This is a very important part of the plan. Objectives are the reasons or purposes of actually teaching the lessons. The objectives will drive your lessons so when you are thinking about them, make sure you put a lot of thought and consideration in the process. The objectives also establish the expectations for the whole learning process. They will also be the basis on how you will conduct evaluations. Some formats require national standards which the lessons need to address. When making your plan, be sure to include these standards. Modifications and lesson strategies are also important to write down. This is so that you will know exactly how you will do your lessons. And if you need to make modifications, it will be easier for you to do so. Introduce all the lessons in your unit. Usually, a unit is composed of different lessons. The unit is broken down into simpler lessons which, when all completed, will be able to fully define the whole unit. Give an introduction to all the lessons, including a short description of each of them. This is the longest component of your plan. It’s also one of the most important, aside from the objectives. 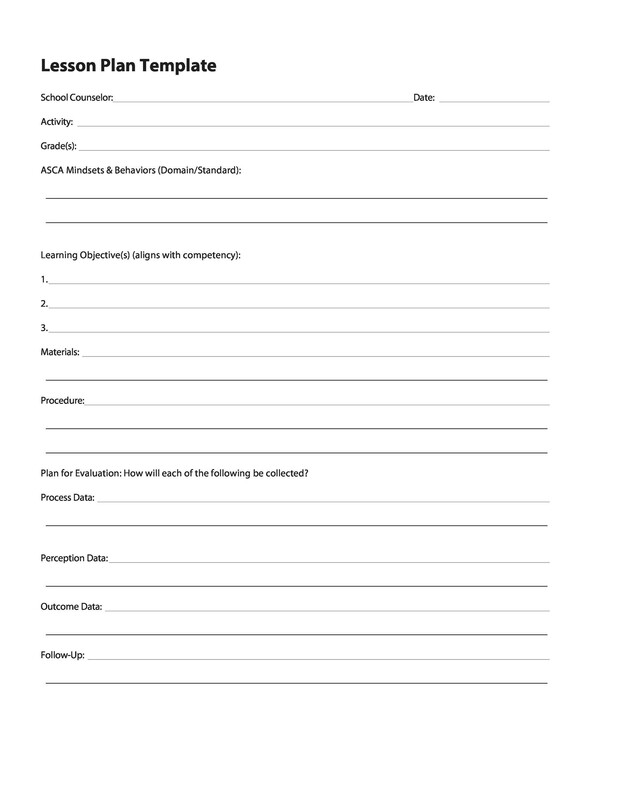 You should state how you will be evaluating and assessing the learning of your students. This is important so you can gauge whether they had learned the unit fully or not. Having these components in your template is essential. 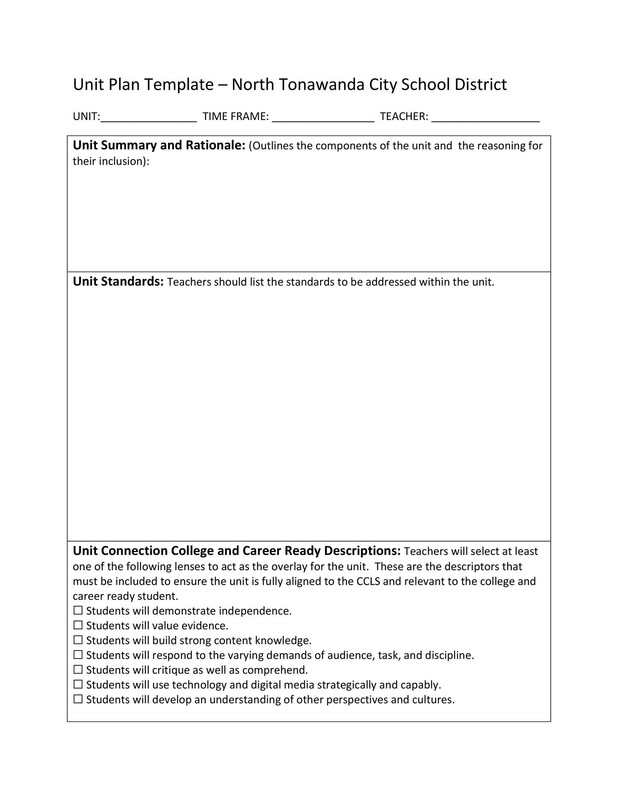 The way you format it depends on you or on your school’s requirements. Think about your audience, in this case, your students. Factors like the age group, the attention span and the diversity of the students must be considered when you are making a plan. Think about the how simple or complex your material is, for each lesson. Make sure it fits into your own skills and the level of your students. Think about any decisions regarding how you will be presenting your lessons. You may present in front of the whole class or in front of smaller groups. Keep this in mind when you are making your plan so you write down the procedures accordingly. Think about which activities would best guide your students. Remember, students each have their own skills as well as their own learning styles so, at one point or another, you will have to accommodate them. 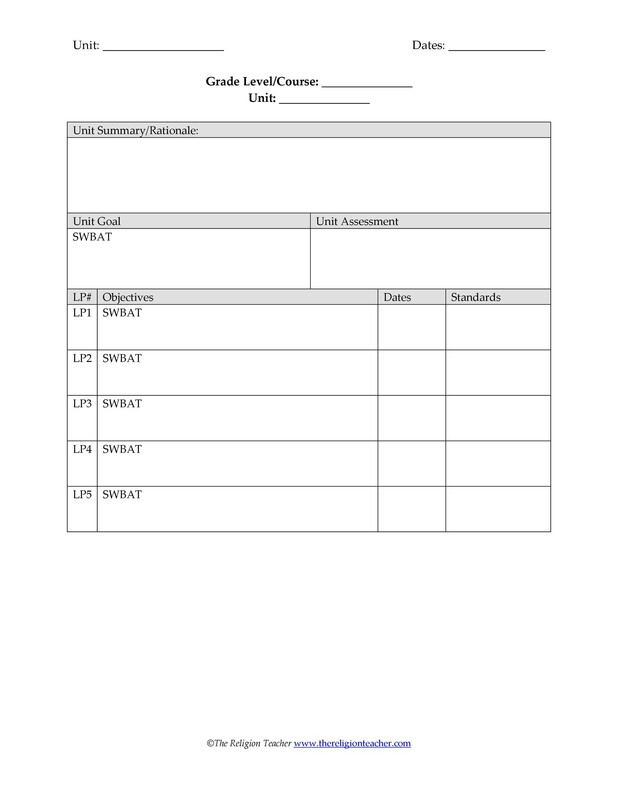 Think about your regular and supplemental materials, as well as your strategies for keeping track of your students’ learning. These are basic things to consider when making a plan and they are quite easy to keep in mind. Now let’s move on to the final section, the different techniques in making such a plan. 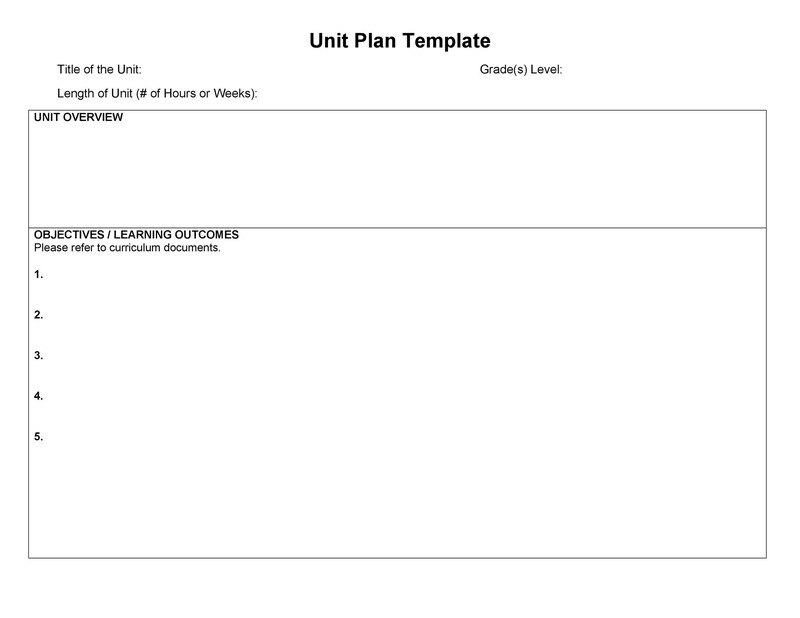 To be able to make a great unit plan template, you will need as much helpful information as you can get your hands on. Whether you’re planning to make a unit plan template for high school or for any level, these techniques and tips will surely guide you. These techniques will prove to be extremely helpful for you, especially if you’re a new teacher. However, even if you’re an experienced teacher, you may still learn a lot of new things. 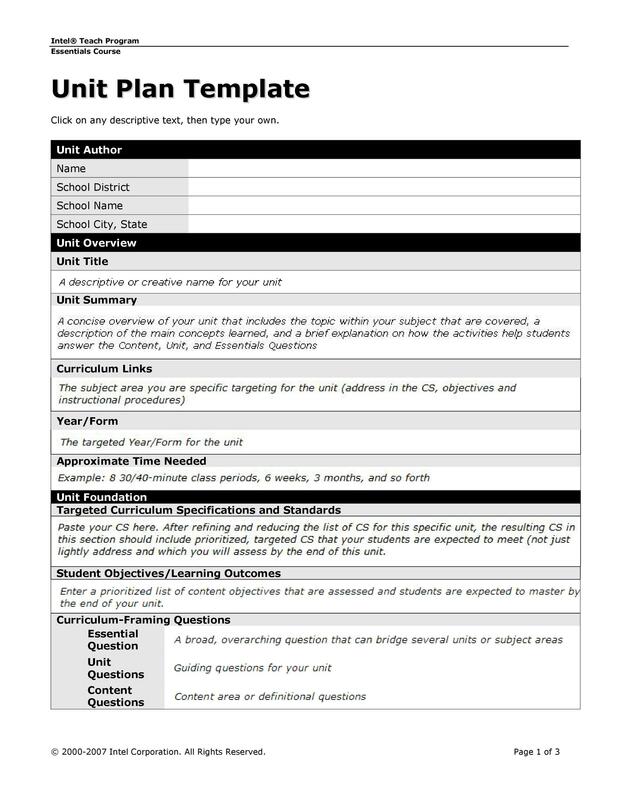 It’s important for you to create and develop unit plans which will make a connection with your students. 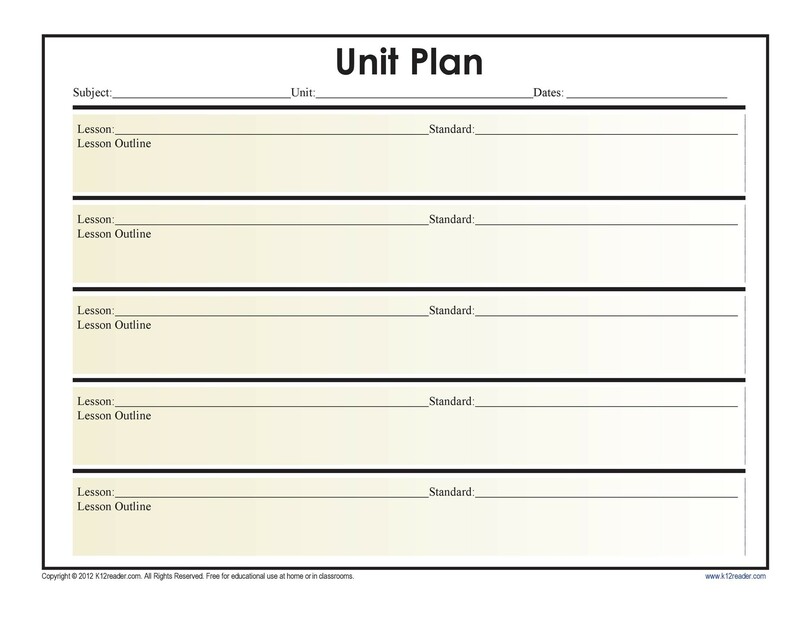 Making a whole unit plan means that you are linking all the lessons together. As you are developing your plan, make sure the lessons are well connected and they will appeal to your students. You can overlap lessons if you need to. 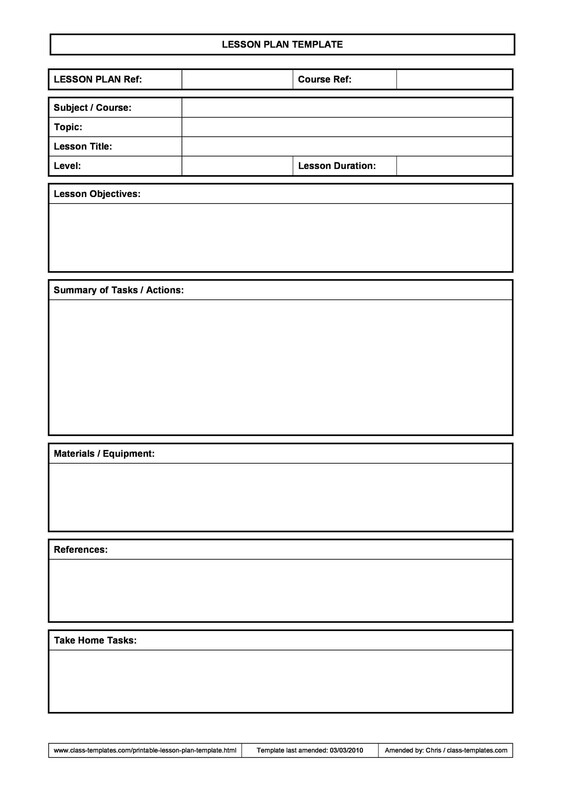 This creates a smoother flow and transition from one lesson to another. It also makes the lessons stick more with the students because they will see the connections between the lessons. The way you approach teaching should not be monotonous. Make sure you vary your methods in teaching to be able to meet the needs of your students. Themes are useful in planning units, so make use of them. While creating your plan, make sure to consider the different learning styles. If possible, try appealing to different learners at different times throughout your lessons so the holistic learning is fuller. Also, think about the time needed to complete each lesson. All lessons are not equal. Some lessons need more time to be completed while others need less. The easier lessons can be completed in a shorter amount of time while the more complex ones need more time for completion. Map out your unit planning to make things clearer for you. Understand your general goals so that you can think about how you will create your lessons. When you understand your goals, you will be able to develop compelling and unique lessons for your students. Establish your objectives for each lesson. This will help you focus on what your students need to learn and what you need to teach them. When planning lessons, make sure you create more than 1 objective. 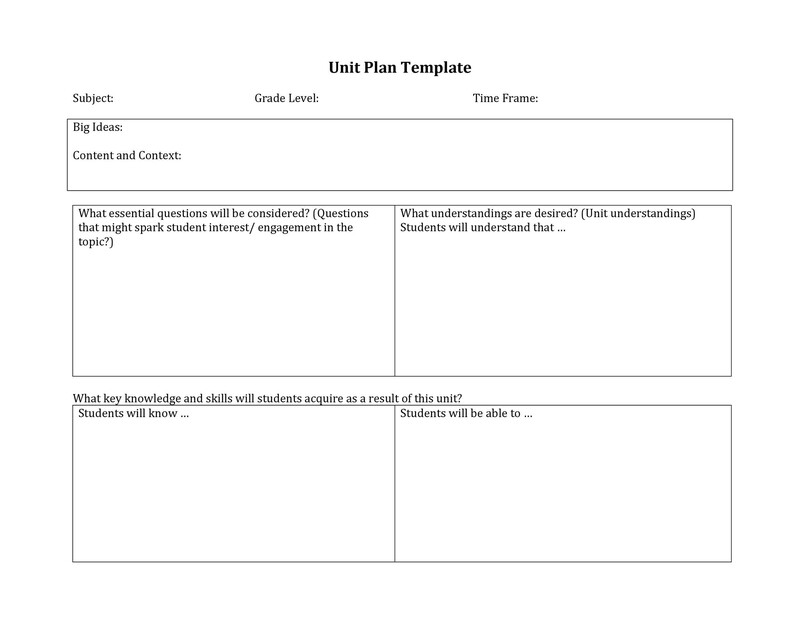 Follow the required template when planning your unit. Make use of the elements which we’ve discussed in one of the previous sections in the articles. As long as you use all those components, then your plan will be an effective one. Review the resources you are planning to use. The resources must be accurate and reliable. Remember that you will be teaching lessons to students so everything you teach must be correct. If you need to, consult with fellow teachers to check if your resources are correct. If not, find more accurate information to use in your planning. Make sure you know all the national and state standards as you have to include them in your plan. You as a teacher are held accountable for meeting the standards as you are developing your plans. Make a sequenced list of all the major concepts of your unit. 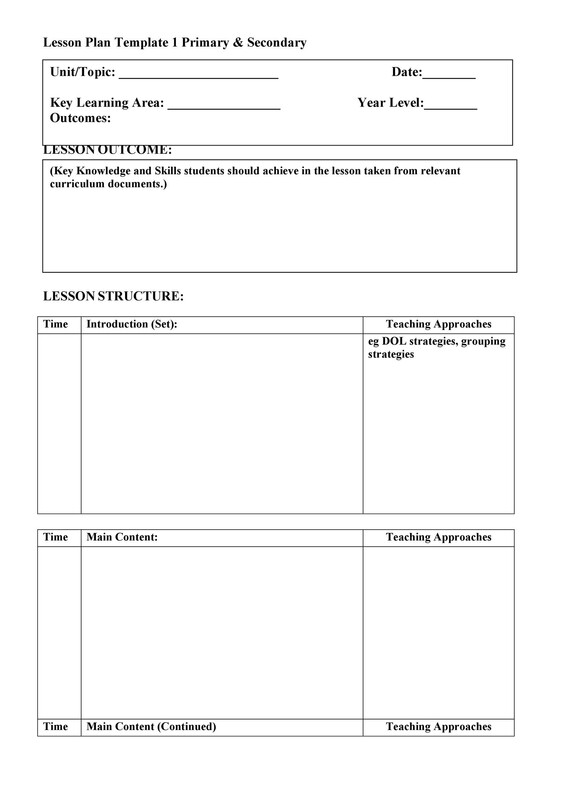 Make use of an outline form when listing your concepts, which you are planning to teach in a given period of time. Doing this will help you understand the concepts more. When making this list, also be sure to leave some room for adjustment or modification. 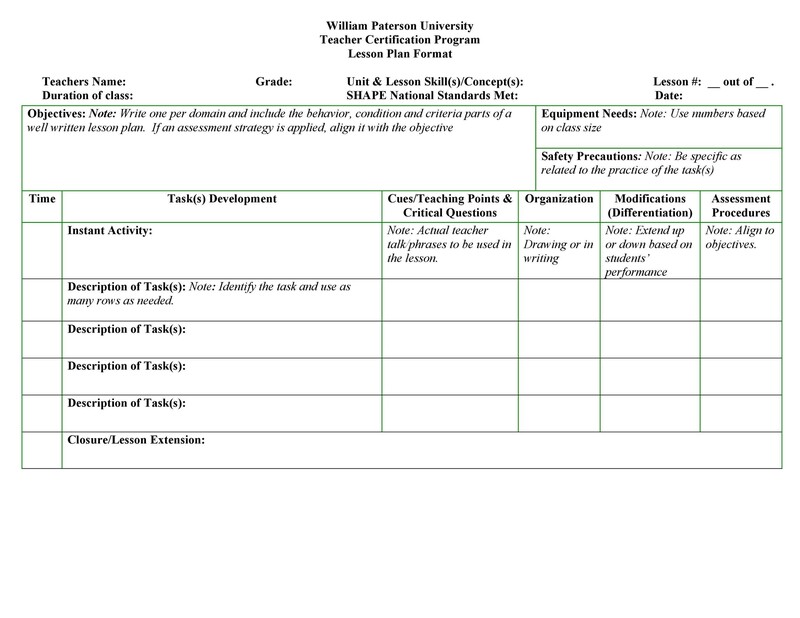 Also, plan some additional work for the students or assignments which you can use as needed. 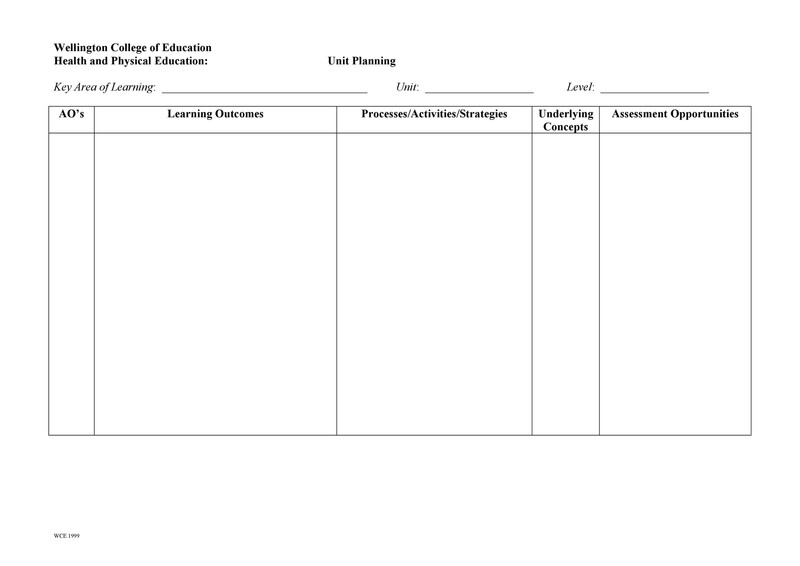 Plan out and create your tools for assessment. As soon as you have reviewed and verified all your resources, you can start making your tools for evaluation and assessment. 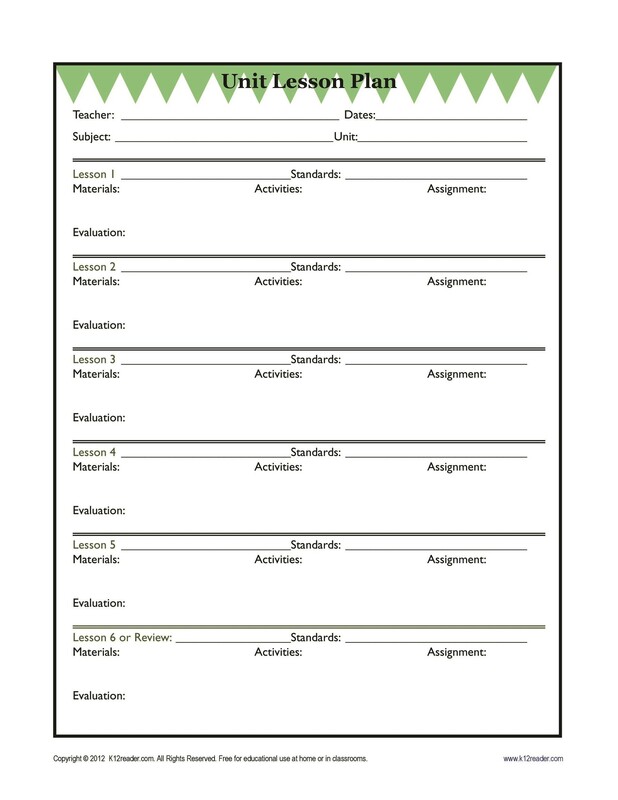 These are important so you can determine if your students had learned the concepts. If they had already learned the concepts well, then you can move on to the next lesson or the next unit. Formative assessment can be used to keep track of your students’ learning to give you constant feedback on where they are in the learning. 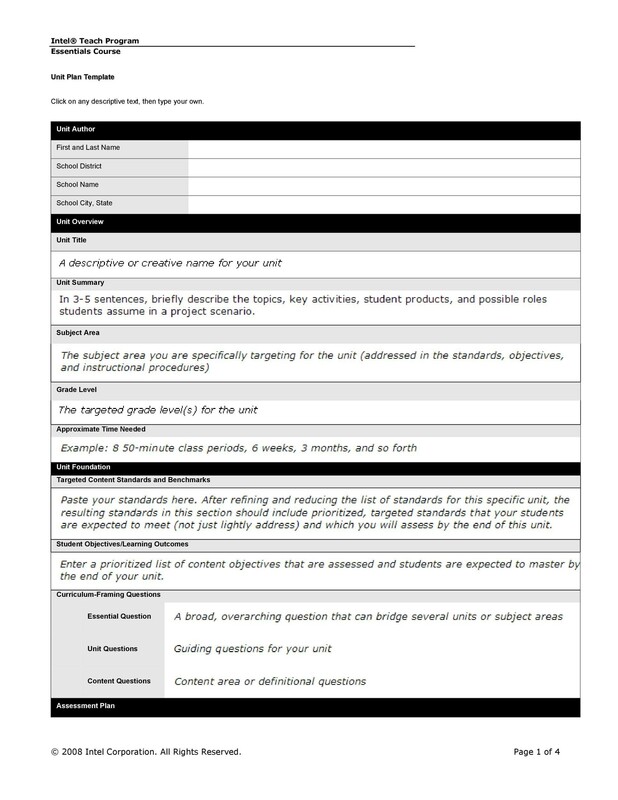 Summative assessment can be given at the end of the unit to give you an idea on whether your students understood the whole unit or not. 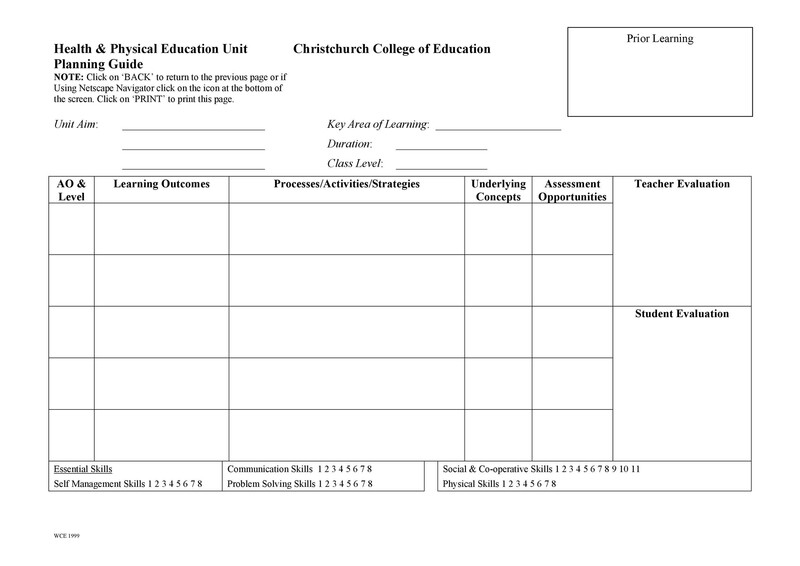 Select the lessons you want to use for your unit. The lessons should depend on the learning styles of your students and the approaches you are planning to employ. Make sure the lessons you select will be interesting to your students so they will learn better. Use benchmarks in your planning. These will help you move through the whole unit. It will allow you to monitor your own progress, keep track of the timeframe and guarantee that the objectives are achieved. Start your planning by thinking about your goals for the whole year. 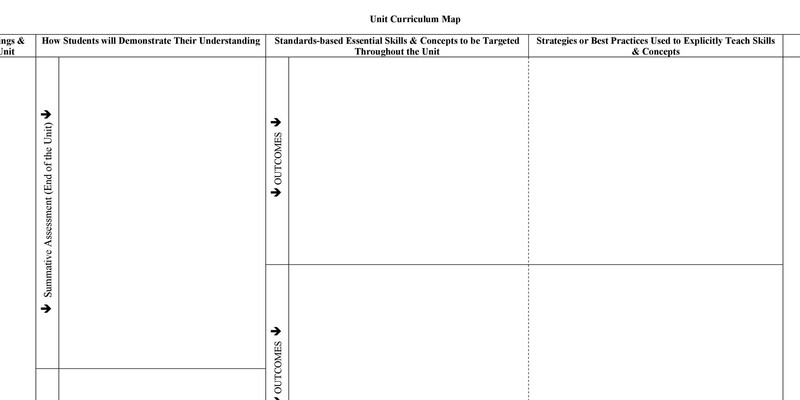 Make a road map of all the lessons which you need to cover in your unit. Doing this will give you relevant insight on how you will make use of your time wisely. A well-made road map will make you more organized. 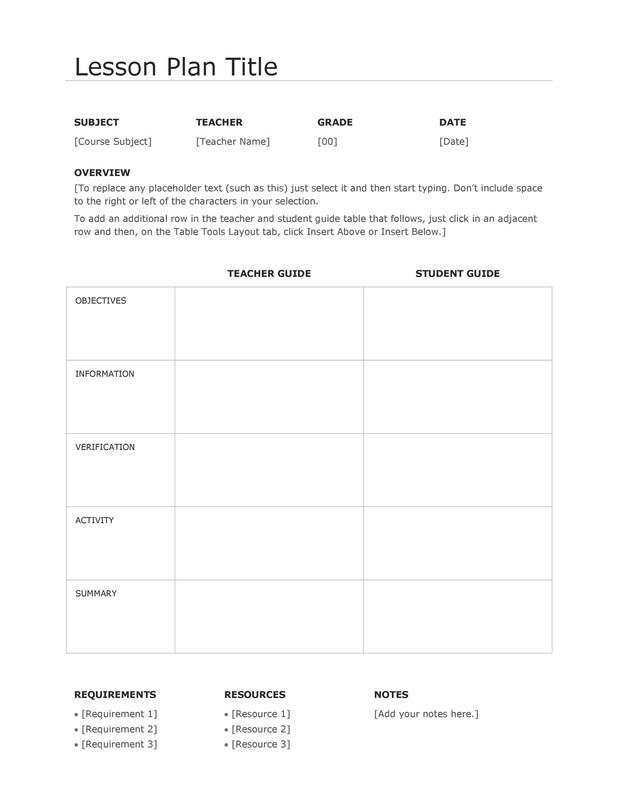 Come up with a list of important questions which will help guide your students. When your students are able to answer all these questions, it means they understand all the content of the unit. Establish the most important content, the skills which need to be developed and major vocabulary words which need to be used. 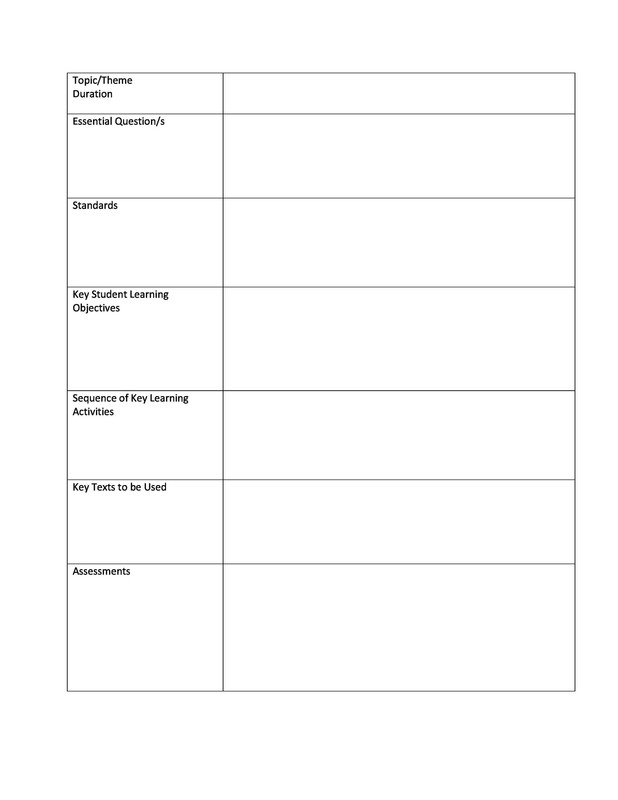 Also, make sure to develop tools to assess your students. So that you know if they are learning what you are teaching them. 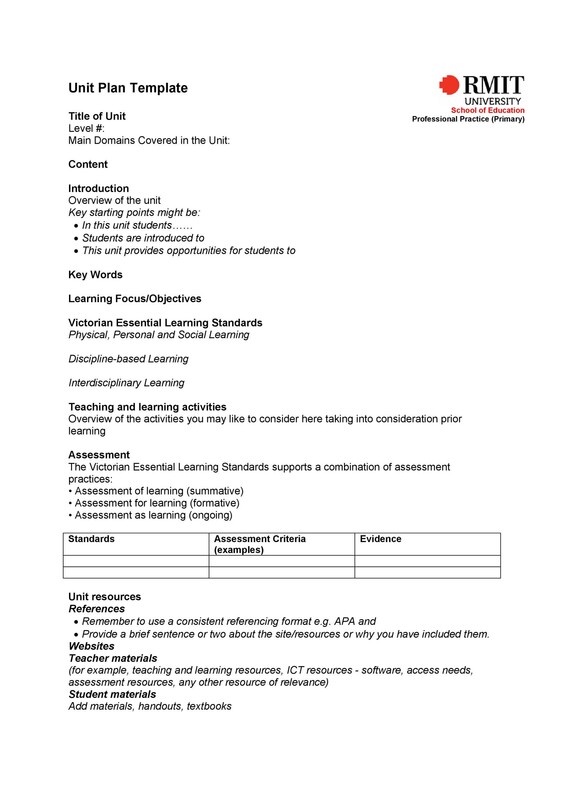 As you are planning your unit, keep to referring to your resources. Also, make sure to leave some room for adjustment or modification. Some units are easier to plan while others will take more time. Plan well and prepare as much as you can. Focus first on the major concepts then support them with sufficient material, which can be eliminated later on, if needed. When developing unit plans, work with your fellow teachers. 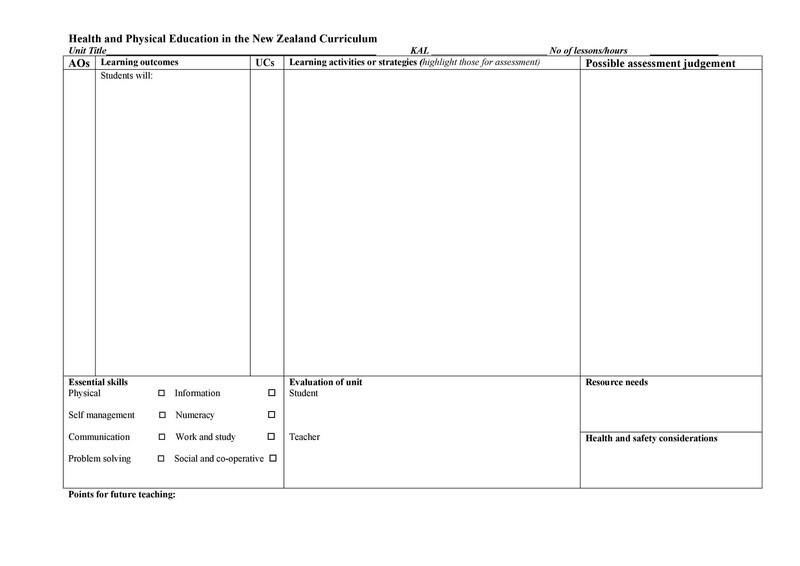 This is useful so that you will be able to meet the key goals and standards across different disciplines. 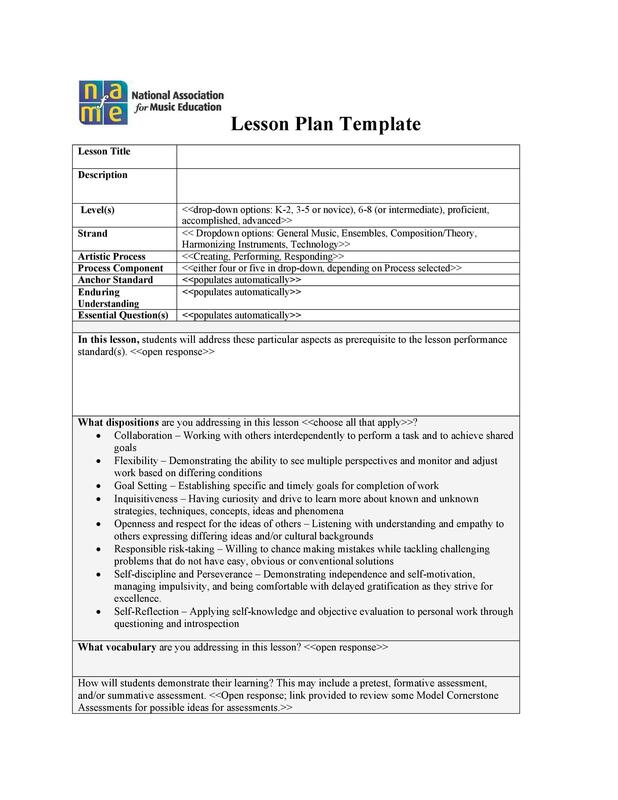 Making an effective unit lesson plan template will provide your students with the chance to look at the most general concepts from different angles. Look for partners who will be beneficial to you. Making good interdisciplinary relationships, working together to meet the needs of students is very important. This means that the units you will come up with will be a lot richer. Be creative when thinking about how your different disciplines overlap. You may be able to integrate these disciplines when making your plans. In doing this, you will come up with more creative, more unique and more innovative lessons to teach your students. When making units which are interdisciplinary, make sure you are also creating tools for assessment and lesson plans which are appropriate. Working with teachers from different areas and disciplines is great, as long as you know how you will integrate all the information into your unit correctly. Expand the exposure of your students by developing relevant learning goals as well as major concepts. Making these kinds of units will give your students the opportunity to learn deeply and more profoundly. You will be able to make longer timelines wherein your students can spend more time learning the concepts and practicing/applying what they have learned. Working together with others will allow you to learn more as well. 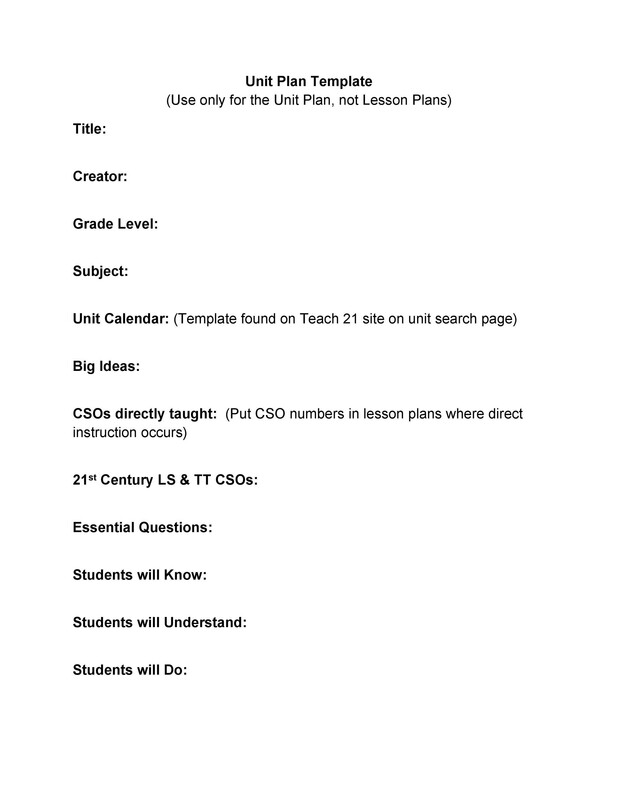 You can plan your unit accordingly and learn a lot along with your co-teachers and your students. One benefit of creating interdisciplinary units is that you will be able to approach a single subject from different views and angles. It helps you and your students look at concepts and lessons in a bigger context. Therefore, the learning can be applied to real-life and to other concepts a lot easier. In the end, your students will learn a lot better and feel more confident in their abilities to learn. Therefore, they may be more inclined to further their skills and their learning, which is beneficial them and for their teachers too.